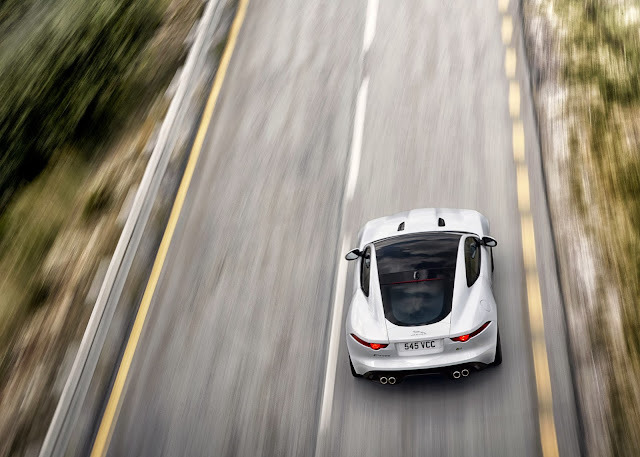 This is the Jaguar F-Type Coupe. 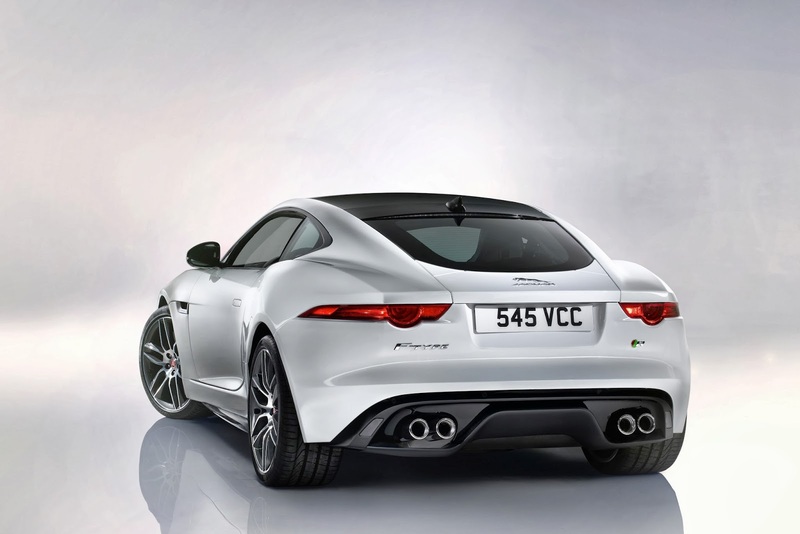 It is perhaps the world's most beautiful car, and it's £7k cheaper than the convertible. 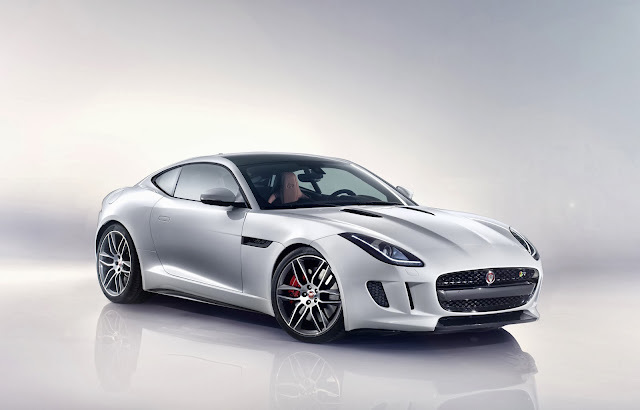 The F-Type R Coupe will be the fastest version, and the only one fitted with Jaguar's 5-litre supercharged engine and, unlike in the convertible, it goes straight to R-spec 550bhp and 501 lb ft of torque. 0-60mph takes a stonking 4 seconds and top speed is 186mph. The R weighs 1650kg. 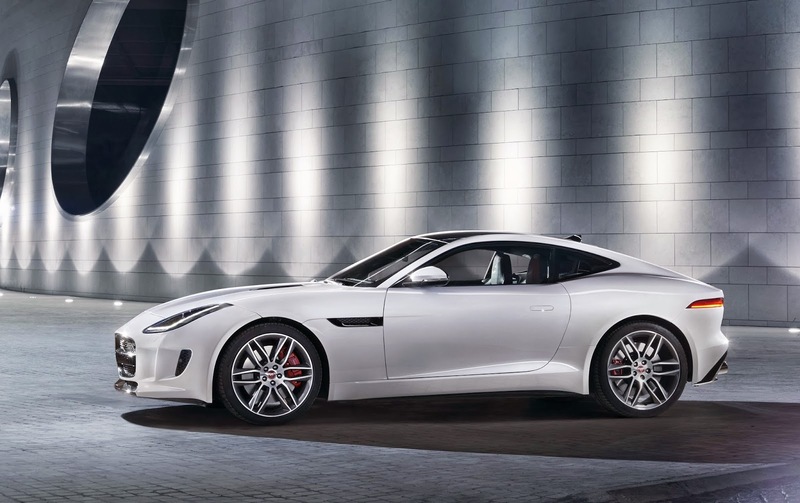 For the first time in the F-Type the car gets carbon ceramic brakes (as an option), an electronic active differential and torque vectoring. The gearbox is an 8-speed ZF unit. The boot is bigger than in the convertible too, and can fit two bags of golf bats for those who like to wear tartan hats and weird trousers. The car comes with LED lighting front and rear. The wheels are 19" as standard and rise to 20" if you option the carbon ceramic brakes. The F-Type R Coupe costs £85,000. 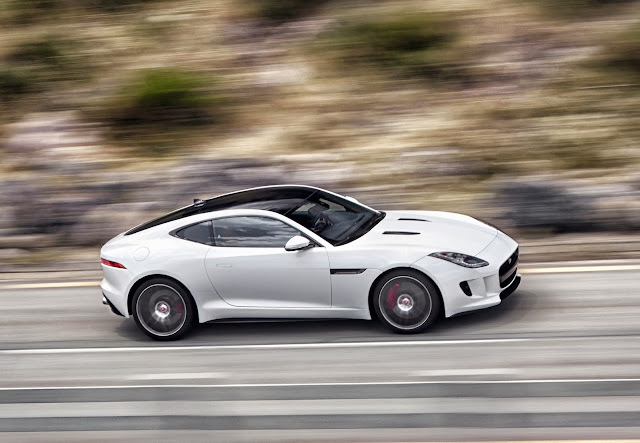 The F-Type also comes with a 3 litre V6 engine. In the S this has 380bhp and 339 lb ft of torque. 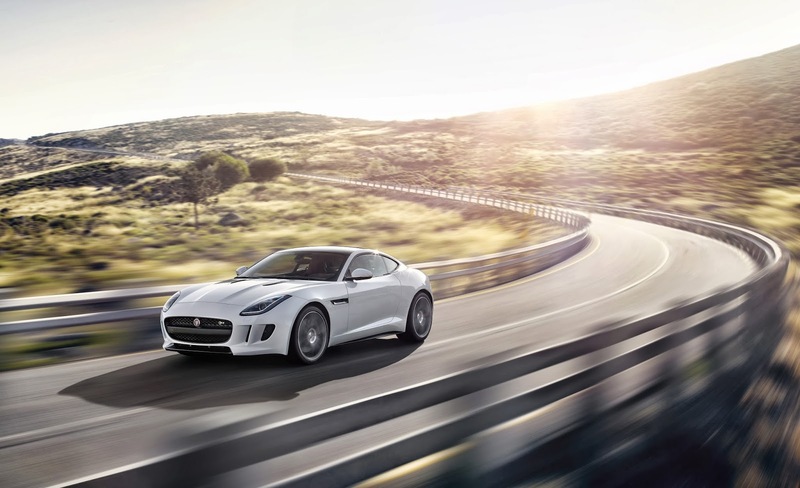 0-60mph takes 4.8 seconds and top speed is 171mph. It weighs 1594kg and costs £60,235. 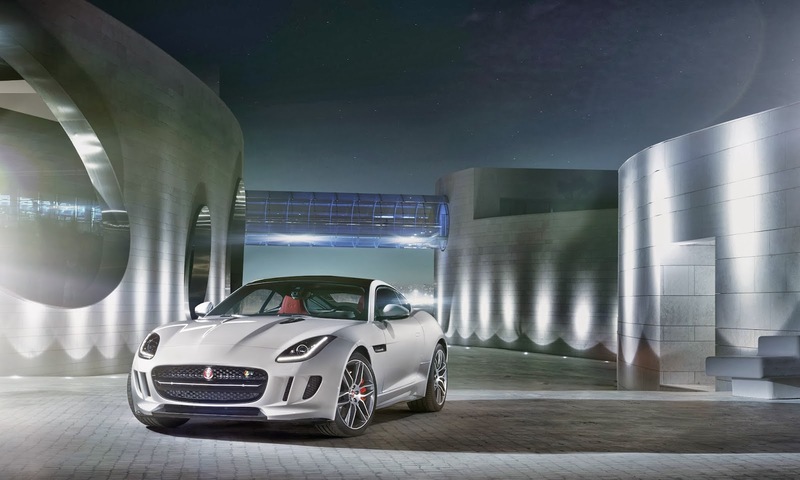 The standard F-Type Coupe has the 3 litre V6 with 340bhp and 332 lb ft of torque. 0-60 takes 5.1 seconds and top speed is 161. It weighs 1577kg and costs £51,235. Other features of the car include the deployable spoiler (which we spotted in this spy shot) and the roof which comes either as aluminium sheet or panoramic glass. The prices are a reduction over the F-Type convertible whose base model costs £58,250. 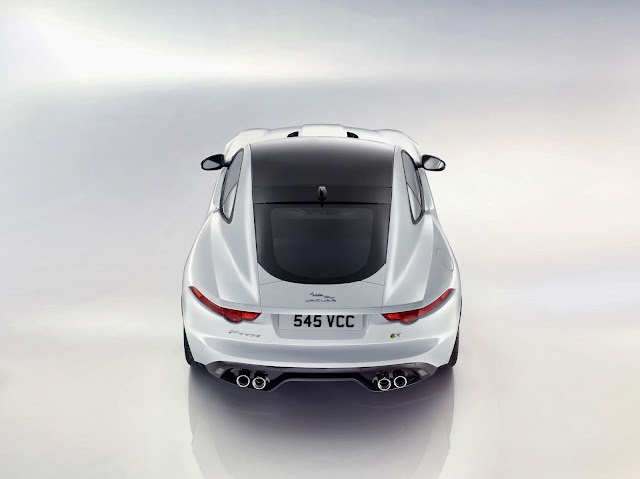 The Porsche Cayman S with PDK gearbox costs £50,705 - just £530 less than the F-Type Coupe. 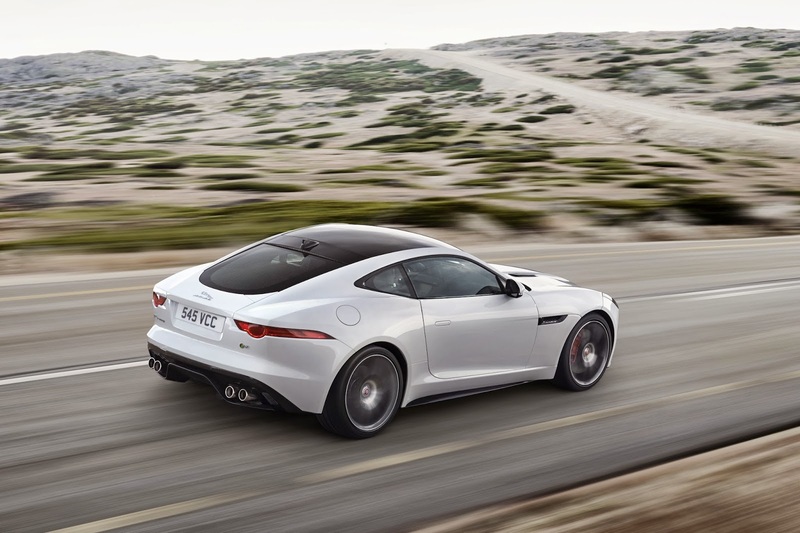 Aside from all the stats the Jaguar F-Type Coupe has to be the world's most beautiful production car on sale at the moment. 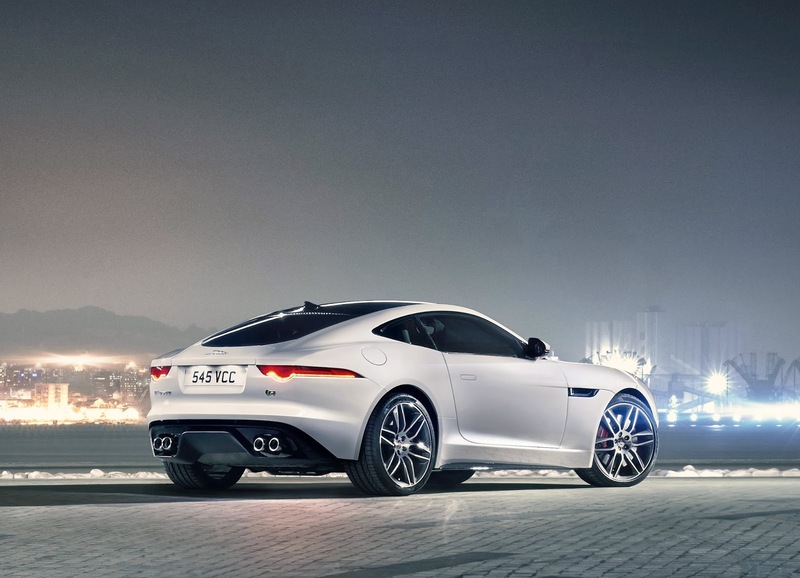 Can you think of a better looking car?